Thanks to the wide spread of smartphones and mobile Internet, consumers are more accessible than ever and shopping takes place wherever consumers happen to be. Some facts indicate that mobile commerce is and will be the most important growth driver within e-commerce and that the smartphone is the cornerstone to succeed in an omnichannel world. The figures are clear: The smartphone revenue is predicted to surpass tablet for the first time during this shopping season, the global mobile traffic grows unstoppably, and conversion rates are also enhanced as a result of the implementation of new customer experience models in which usability and web design, in all its forms, play an important role. It is a fact that mobile impacts digital commerce and influences in-store purchases. A good mobile strategy can drive traffic and conversation rates. For instance, Zalando , Burberry , and Lensbest are doing very well in this respect. And Adidas has recently shown its commitment to this channel with the launch of its mobile Glitch-App in UK. Therefore, the question here is not anymore whether or not a mobile commerce strategy is necessary, but how to implement it. 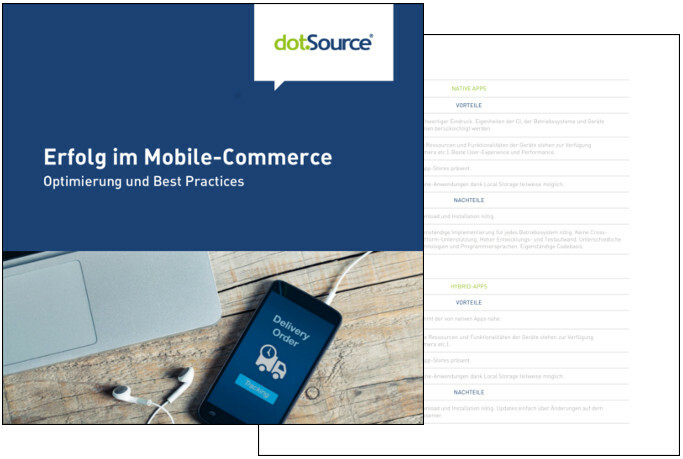 In order to resolve this question properly, our updated white paper “Success in mobile commerce: Optimisation and best practices” aims precisely to give a comprehensive overview of the most important aspects to take into account to design and carry out a promising mobile strategy. How often and why do my customers use a smartphone? What do my customers want? Mobile website or app? What are the differences between native, hybrid, or web apps? What determines mobile shop usability? How does a mobile-optimised checkout process work? How can smooth performance be achieved? What are the main challenges of mobile payments? By using a hands-on and simple approach, these and other relevant questions will be fully explained and answered along the pages of this essential mobile commerce guide. On the basis that 6 out 10 consumers believe that their expectations of mobile experiences are not completely satisfied and that high performance is a must to not lose customers, this white paper gives shop operators ultimate tips for usability and optimisation of all forms of web design to beat the main pain point of mobile commerce: the current low conversion rates. 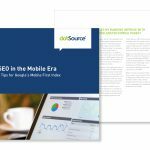 Furthermore, the most relevant facts and figures provided let readers know how the current state of mobile commerce is. There is also room for looking towards upcoming mobile trends and the challenges of mobile payments, which are being improved to conquer customers’ hearts. If you want to know the formula to win the mobile commerce race, download this whitepaper now for free! The update is currently available in German.